Drift Ghost-S Action Camera: Make History your own way! July 20, 1969… the most adventurous day in the history of humankind. Years of planning, billions of dollars, and untold lifetimes of dreamers looking to the sky above were all brought to fruition at 20:18 Universal Standard Time. 500 million people watched that day as one small step was taken in the biggest possible way. But what if the camera had been pointed in the wrong direction? What if they had only captured a few grains of of moon dust and a pile of extraterrestrial rocks while history was being made 3 feet outside of the frame… and they did not know until they had traveled the 238,900 miles home? While the majority of our audiences are much smaller and less captivated in nature, getting the right shot is still key in documenting our great experiences nonetheless. We are a visual people and as such we beg for the images to tell the stories that we live every day. As we head out towards new adventures and levels of further exploration the Drift Ghost-S Action Camera is designed to help us recount the excitement every step of the way. 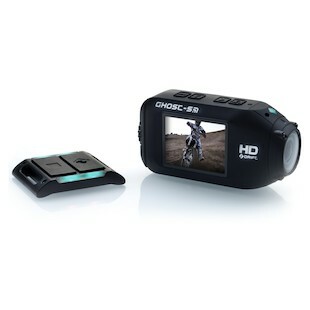 The great advantage seen in the Drift Ghost-S Action Camera is the ability to utilize the Built-In 2-Inch LCD Screen with Gorilla Glass to offer up a visual reference as to what is being recorded on the spot. No need to wait and hope you got it right after the fact. Designed with ease of function in mind, you will be ready to document your mad moto skills within minutes of removing the gear from the box. 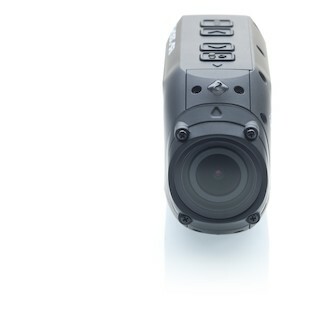 From the 1080p resolution at 25 / 30 / 50 / 60 frames per second to the adjustable field of view and plethora of mounting options which are included. So tell your story. Live your adventure. Chart your course and map your trajectory every step of the way. Whether you are mesmerizing the world or keeping your friends and family on the edge of the living room sofa… the Drift Ghost-S Action Camera puts the control in your hands.